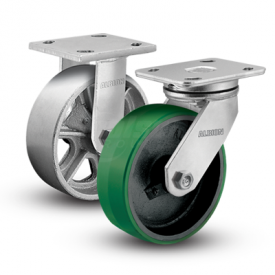 71 Series casters are manufactured of hot-forged steel, designed for extended life in rugged applications. 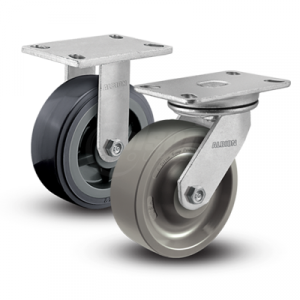 Ideal for production rack, fixtures, and box trucks, each caster will out-perform cold-forged or stamped steel casters in swivel applications. 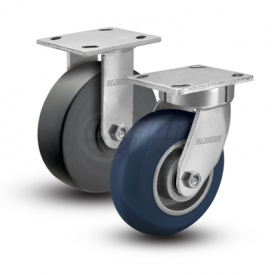 Zerk fitting in swivel raceway provides easy maintenance access.